This is why its street name is "Billion Dollar Bug" in many agricultural circles, a name that reflects the size of this insect's annual bite into the coffers of U.S. corn growers, who last year year planted 89.1 million acres of the crop, according to the U.S. Department of Agriculture. Not all of that acreage is at risk. But the rootworm is considered the most important pest in the Midwest's Corn Belt, where corn production is highest, led by Iowa, Illinois, Nebraska and Minnesota. Consider this rootworm's impressive record: It has survived granular insecticides and sprayed insecticides. It has figured out how to beat crop-rotation practices, which discourage rootworm population increases. And, scientists say, it has developed resistance to hybrid corn plants that were engineered with toxins released when the rootworms attacked, a defense that had proven effective for at least a decade. Now researchers at the University of Delaware and the USDA have discovered an indirect defensive strategy used by the hybrid plant that provides some recourse against this stubborn creature. Ivan Hiltpold, assistant professor of entomology and wildlife ecology in UD's College of Agriculture and Natural Resources, and the USDA's Bruce Hibbard, who leads plant genetics research at the University of Missouri, published their findings in the Journal of Economic Entomology. But it turns out that Bt corn wasn't helpless. This is great news for the nematodes, but a new vulnerability for the resistant rootworm – something agricultural economists call a "fitness cost," a tradeoff that explains how a newly acquired trait costs an organism something in development or ability to reproduce. 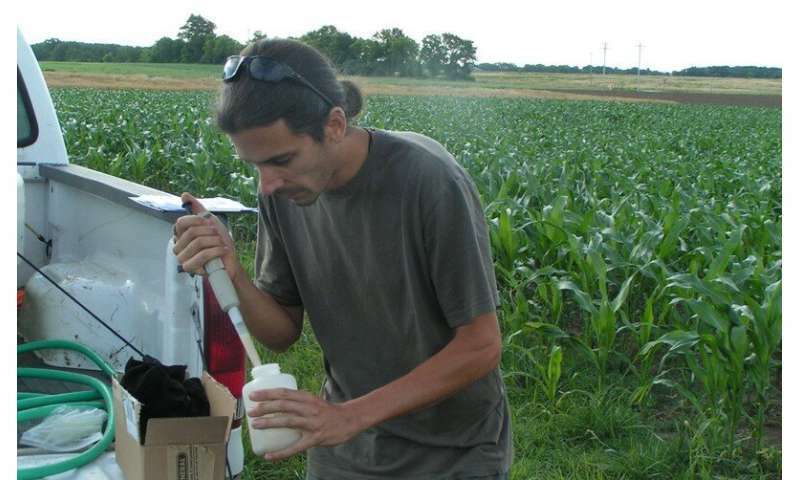 Breeding corn to grow bigger ears, for example, may have implications for the corn's future. It may lose certain traits that smaller-eared corn maintains. "This is the first case where we saw some sort of fitness cost associated with resistance – and it's a different slant on fitness cost than anybody thought of before," Hibbard said. "The only reason the nematodes are targeting these resistant insects is that they are doing more damage." The Western Corn Rootworm's resistance to this hybrid corn has exposed it to another layer of defense – the compounds that are emitted only to beckon nematodes when this resistant rootworm attacks. The compounds are not emitted when non-resistant insects attack the corn because the damage to the plant is not great enough to trigger the defense. "So if you use the right cultivar with these nematodes, you have a chance to control this resistant population," Hiltpold said. 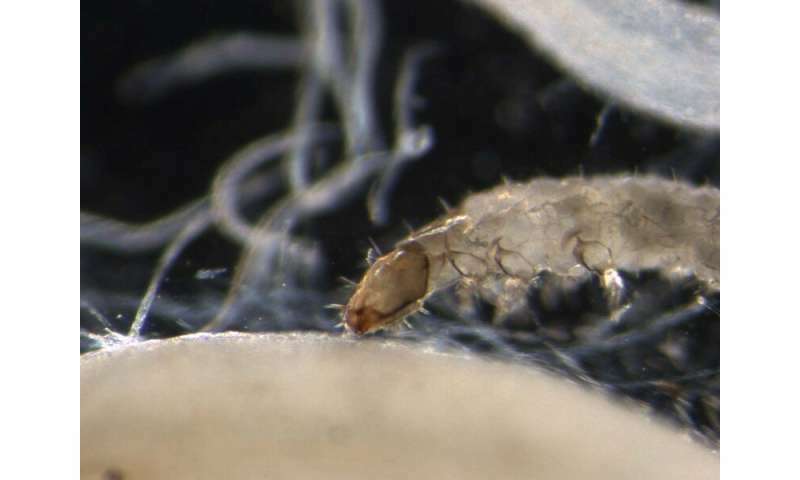 "It's a way to manage this resistant pest and it is less likely to evolve further resistance." And they can be another weapon in the corn grower's arsenal. "This is just another component of an integrated pest management approach," said Hibbard. "This will help kill some resistant insects. But right now, the natural populations of nematodes aren't big enough to manage rootworms well. You need multiple approaches." "The more angles you use to control insects or pests, the more sustainable your management will be," Hiltpold said.